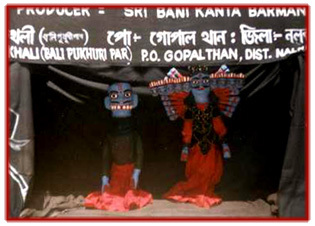 The demon-king of Indian mythology, a character in shadow theatre and in puppet theatre. 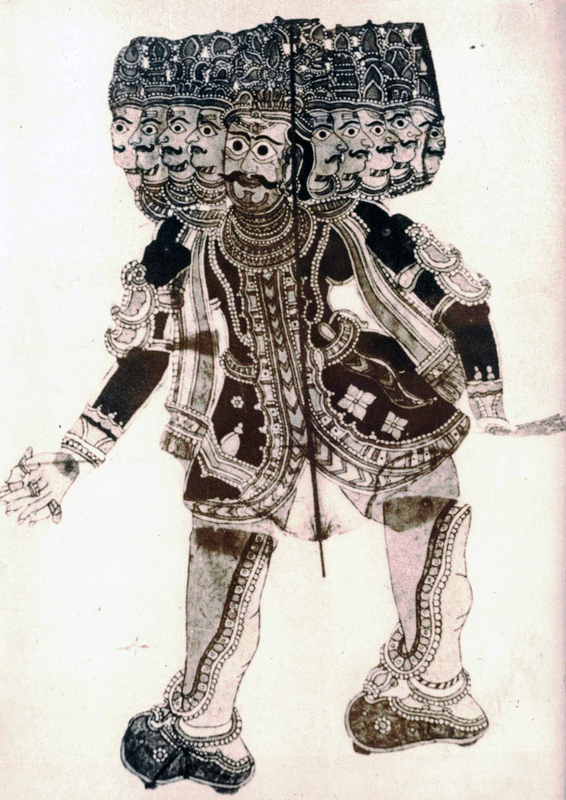 Ruler of the kingdom of Lanka (today’s Sri Lanka), Ravana is an integral part of the cohort of rakshasa or demons, for Indians, who believe the claim that from chaos life is generated. He plays an important role in the Ramayana. 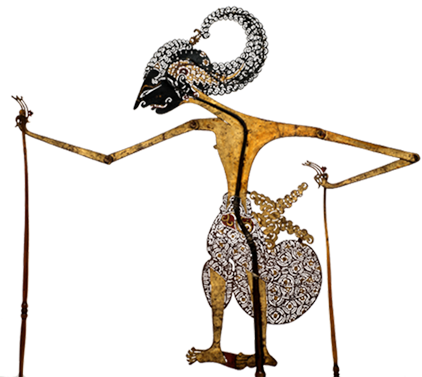 This demon king is depicted with ten crowned heads and twenty fighting arms (symbolizing his extraordinary intelligence, talents and power). Covered in gold scars, traces of wounds inflicted by the gods, he possesses a certain beauty when he wields his many lances and swords. Ravana was a powerful devotee of Shiva. His intellectual and spiritual powers were held in high respect by the gods. 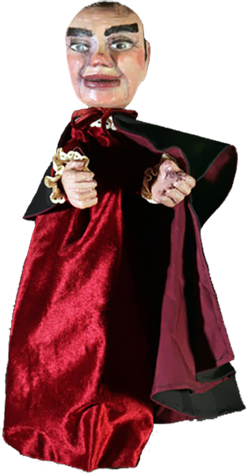 Indians consider Ravana to be a man of great intelligence, great strength and prowess, with many talents. A superb architect, he created the Ashoka gardens and an extraordinary palace in his kingdom of Lanka, both famous for their beauty and design even in Indraloka (Heaven). He was also a brilliant musician. In the state of Rajasthan, there exists a bowstringed musical instrument that carries his name: the ravanhatha. 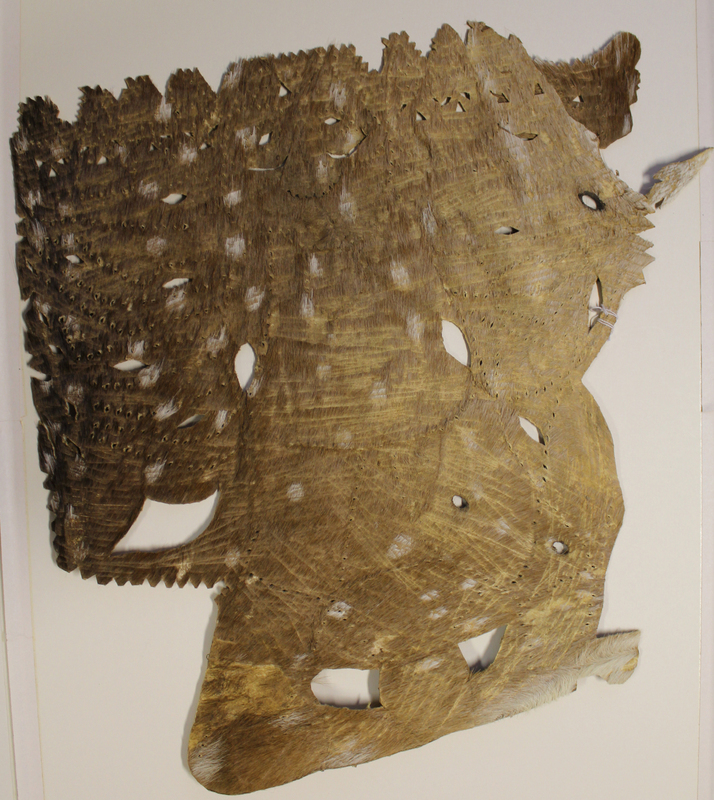 With its many strings made of horsehair, the ravanhatha is played like the violin by the bhopas or traditional Rajasthani storytellers. The legend goes that the ravanhatha was made when Ravana’s dismembered hands fell to earth and lead to the growth of bamboos, which were used to construct the instrument. 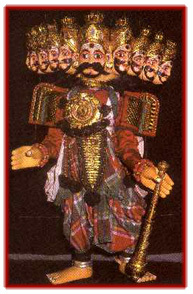 Ravana also symbolizes sexual power. The translation of Ravana’s name is “one who makes worlds roar” and “one who makes mares neigh”, connected with the Vedic horse sacrifice (ashvamedha) ceremony based on a mythical union of kingship and the horse. 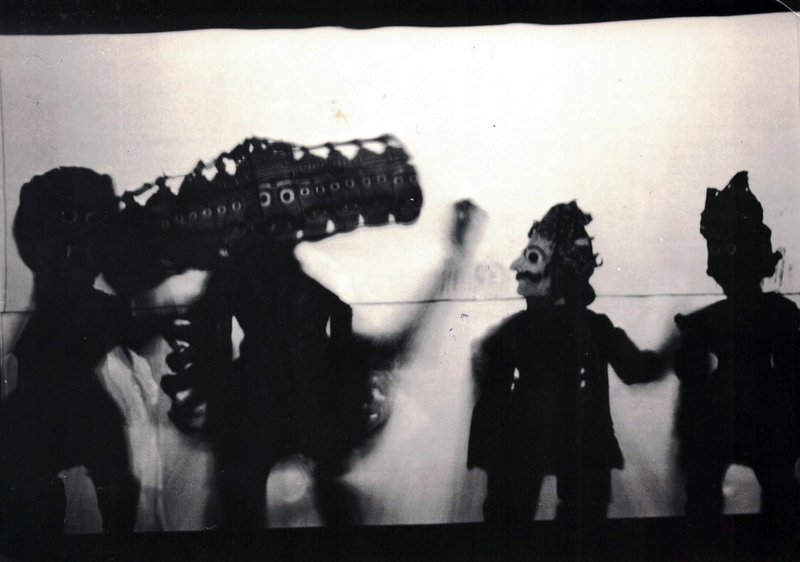 The figures of the shadow theatre show Ravana with his ten heads placed horizontally, but rarely with his twenty arms, with the exception of the ravanachhaya (“Ravana’s shadow”) where the contour of his many arms creates a kind of garland around the body. 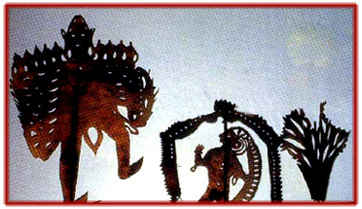 Since the ten heads occupy so much space, he is never shown in profile in a shadow theatre show. 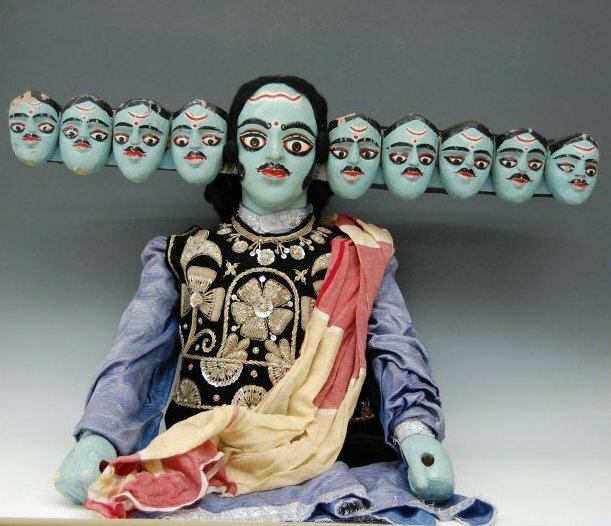 Certain puppets also carry ten heads. 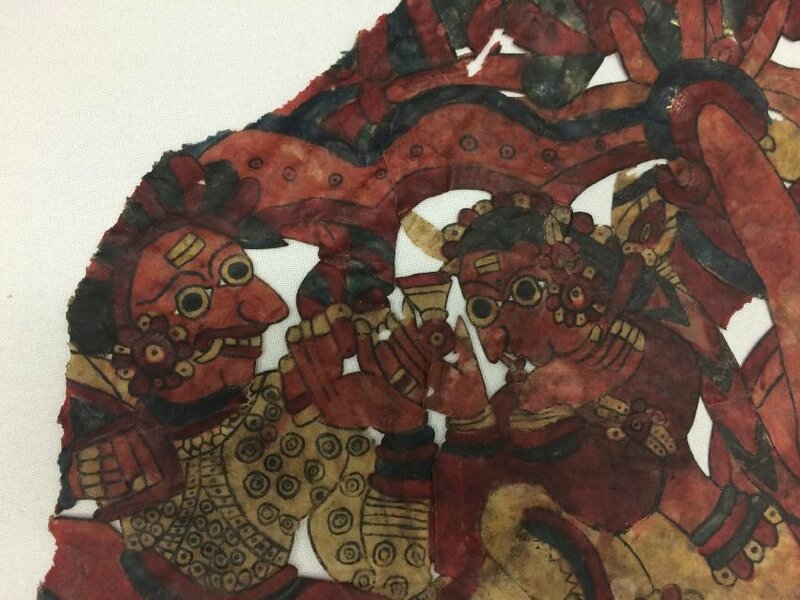 Ravana is a turbulent, violent character, but also a passionate, yearning figure, one that shouts, roars, and sings. This is the reason why the lead singer in yakshagana gombeyata song groups sings his praise.